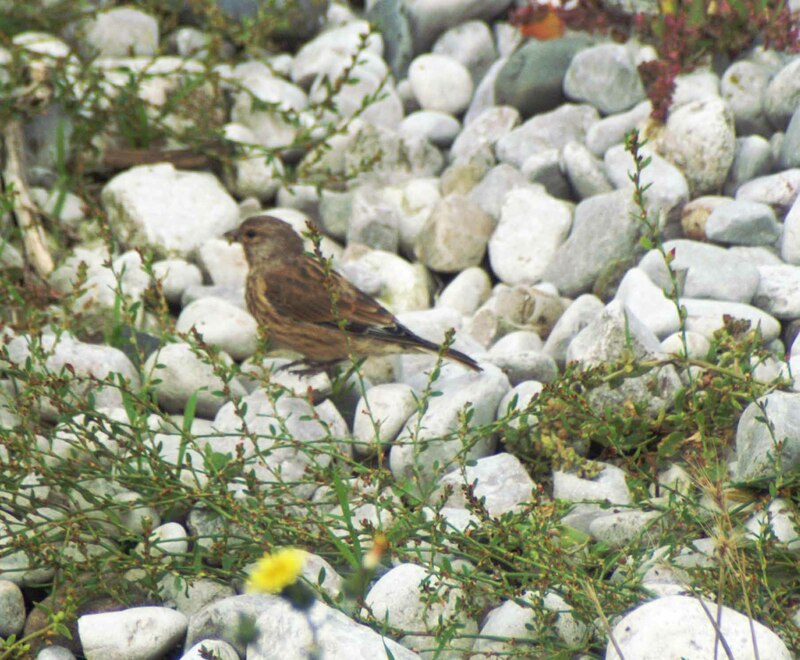 I will be following the migrating birds soon, leaving the cooling shores of North Wales for the warmer ones of southern Spain, but I have a few things left that I want to include in the blog before I leave, including this last walk up to the Little Orme and back along the seashore to Rhos-on-Sea. This was a very sunny day following a week or so of cooler rainy days. Arriving at the headland there was a strong breeze blowing in from the sea, so although it felt very warm in sheltered spots,it was considerably cooler out in the open. As I walked towards the bay I was surprised by the sight of a Kestrel hovering low down over the cliff edge. Views of Kestrels have been scarce during the time I’ve been here, so although the photograph I took is not good I’ve used it as testament to having seen one at all. I love these little raptors and never cease to be amazed at their ability to hang almost motionless in the air for minutes at a time. This one was utilising the wind and air currents and remained suspended in this position for quite some time, perhaps having spotted potential prey, before being disturbed by people walking along the path close by. I reached the cliff edge above the bay and sat for a while looking out over the sea. I had half-hoped I might see a seal or two here as they do breed in the locality, but all I saw was a lone Guillemot swimming and diving in the choppy water. 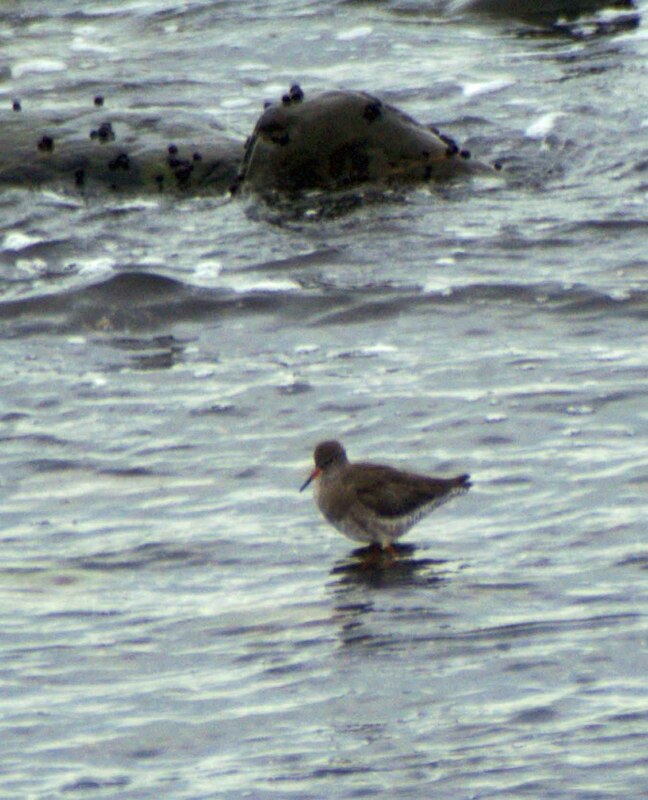 The sighting was another first for me here, so I was pleased to see it, if only briefly. By far the commonest and most numerous birds here currently are cormorants, with a great number of them being dotted around the lower slope of the cliff and more flying back and forth. They are such a feature of the area that I think they merit a post of their own, so they will probably be the subject of my next one. 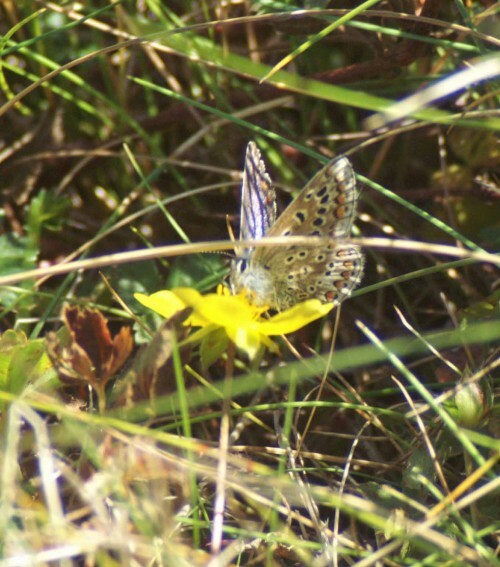 There is a published list of the ‘special’ plants found growing within the Rhiwledyn Nature Reserve on the Little Orme. Many had finished flowering by the time I arrived here in July, but I have discovered a few of them during the course of my walks. I was pleased to add one more today, the Wild Cabbage. It doesn’t sound too glamorous I know, but it is not a common plant, so its continued presence here is quite important. 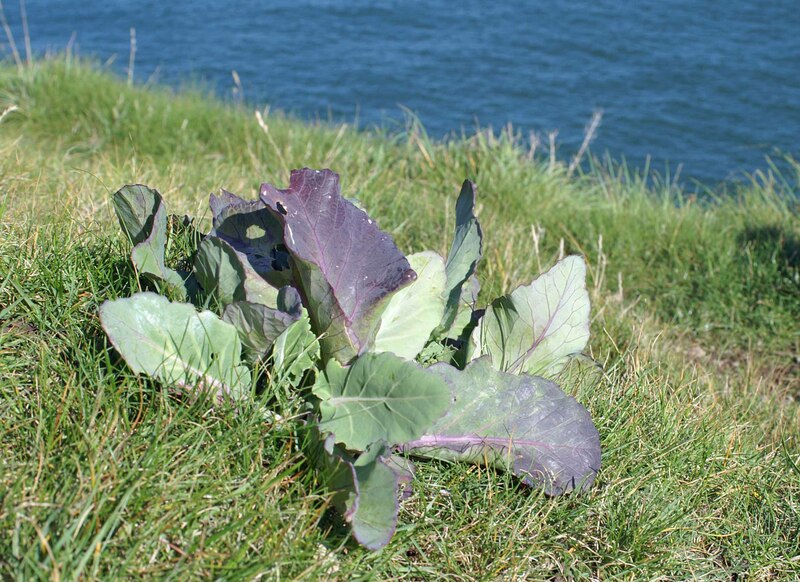 Brassica oleracea, or wild cabbage, is a species of Brassica that is mainly native to coastal southern and western Europe. Its tolerance of salt and lime and its intolerance of competition from other plants typically restrict its natural occurrence to limestone sea cliffs. Wild B. oleracea is a tall biennial plant. In the first year of growth the plant forms a stout rosette of large leaves. 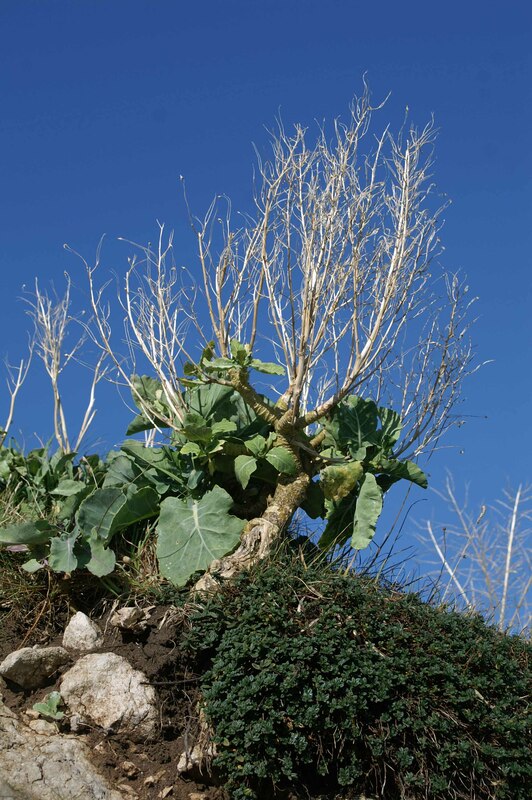 The leaves are fleshier and thicker than those of other species of Brassica, which are adaptations made by the plant to store water and nutrients in its difficult growing environment. In its second year, the stored nutrients are used to produce a flower spike 1 to 2 metres (3–7 ft) tall bearing numerous yellow flowers. The dry, spent flower spikes of a wild cabbage plant. I like the effect of the tracery of bone dry silvery stems against the clear blue sky. These cliffs are the haunt of corvids; I heard the characteristic deep ‘bark’ calls of Ravens and looked up to see a pair circling the rocky peak. 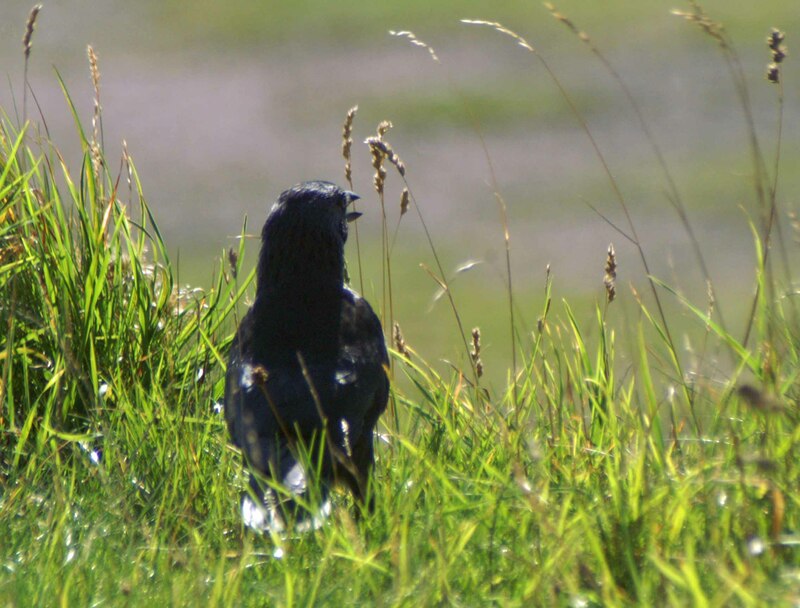 There were one or two Carrion Crows about and quite a few Jackdaws foraging around on the ground. There wasn’t a great deal else to see here today that I have not already mentioned in previous posts, which perversely I was quite glad about: I would hate to think I might be leaving having missed something. I had walked along the promenade and around the residential streets to get here, so I decided to walk back along the seashore as far as I could, accessing the beach via the steps at the end of a walkway between the houses. 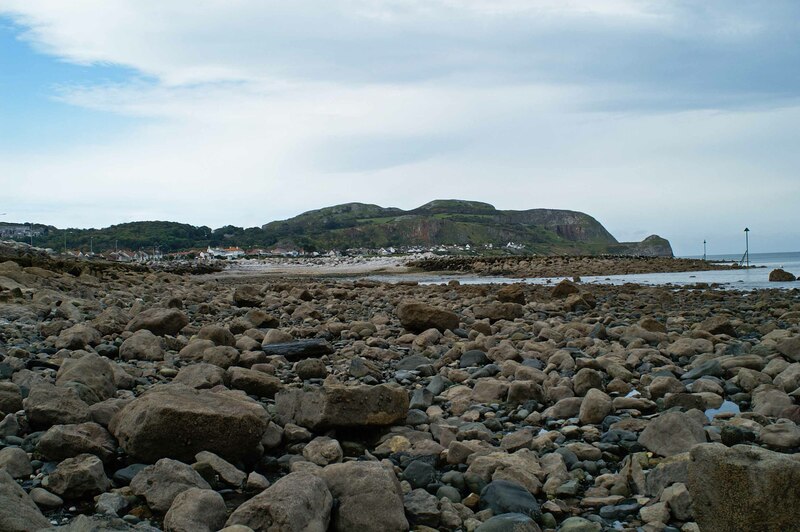 This far end of the beach of Penrhyn Bay, sheltered by the cliffs of the Little Orme has a different character to the open stretches leading to Rhos-on-Sea. 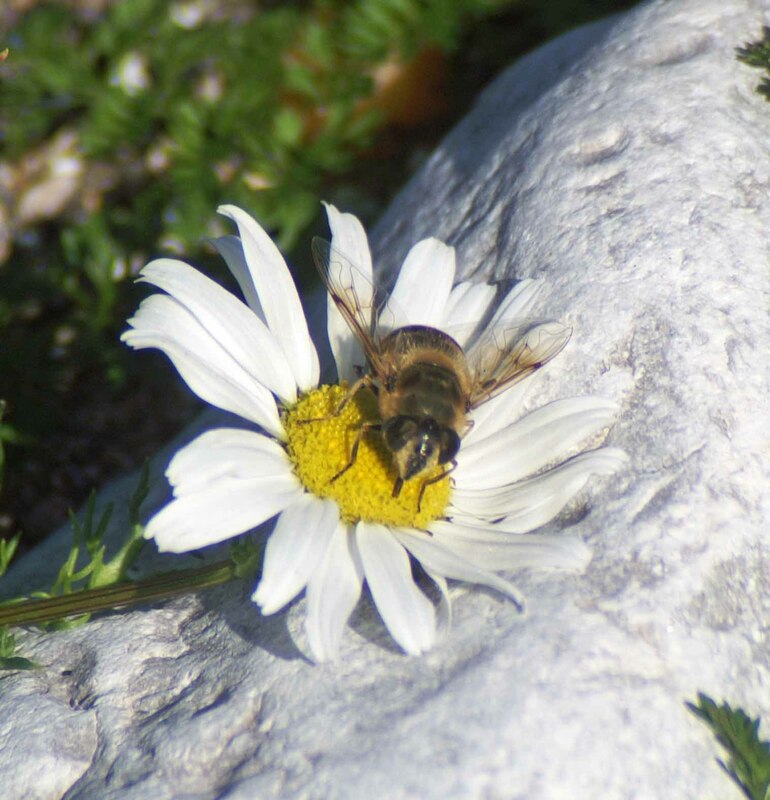 Some vegetation has become established, nothing wildly exciting, but clumps of flowering Sea Mayweed were attracting quite a few insects. 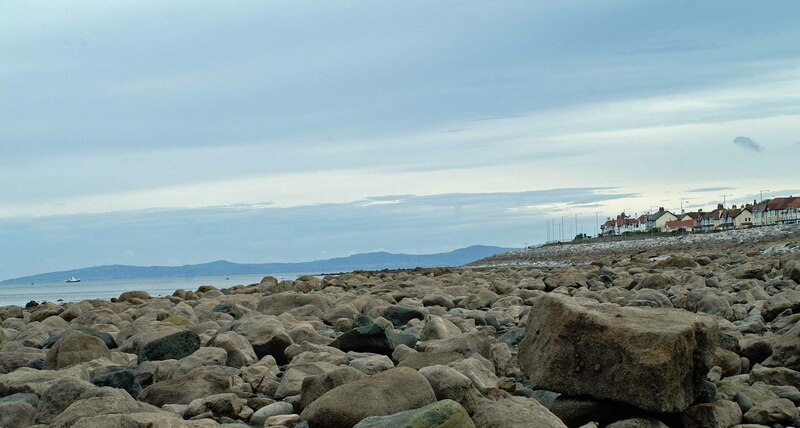 The seashore of Rhos-on-Sea consists of rocks in various sizes and first impressions may be of a harsh, barren environment predominantly coloured in shades of brown. It is not the traditional people-friendly playground that most holidaymakers seek; even walking across the uneven rocky surface is a feat of endurance requiring concentration and a good sense of balance lest you stumble and twist an ankle or worse. 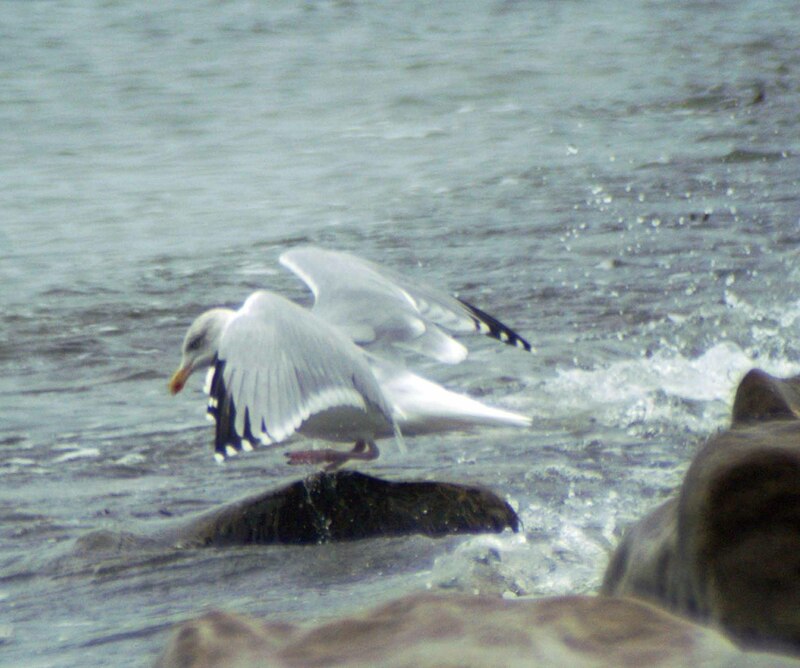 But the rocks form an essential part of the protective barrier between land and sea, dissipating some of the force of wild winter seas and creating a rich and reasonably undisturbed environment for wildlife. Lift off. 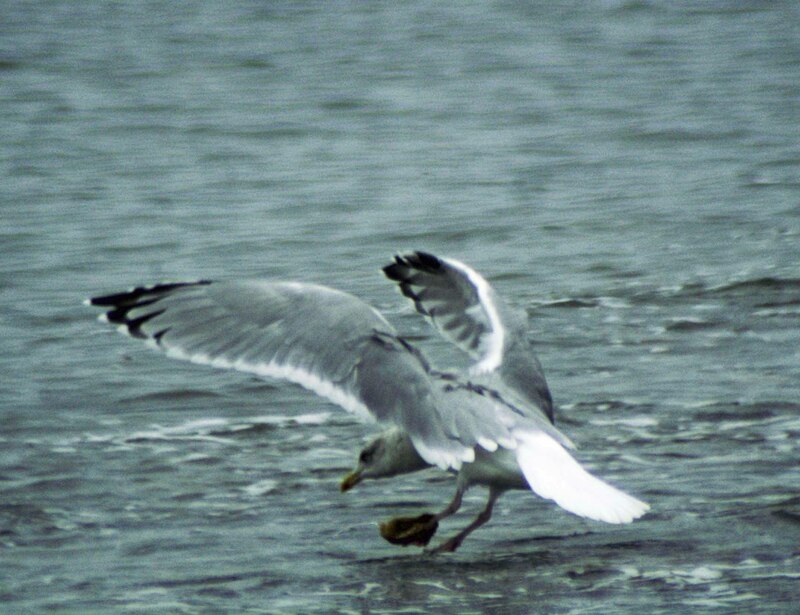 The gull has beautiful wings and they need strength too to be able to lift up that bulky body from a standing start. I think this one may have something wrong with its foot. 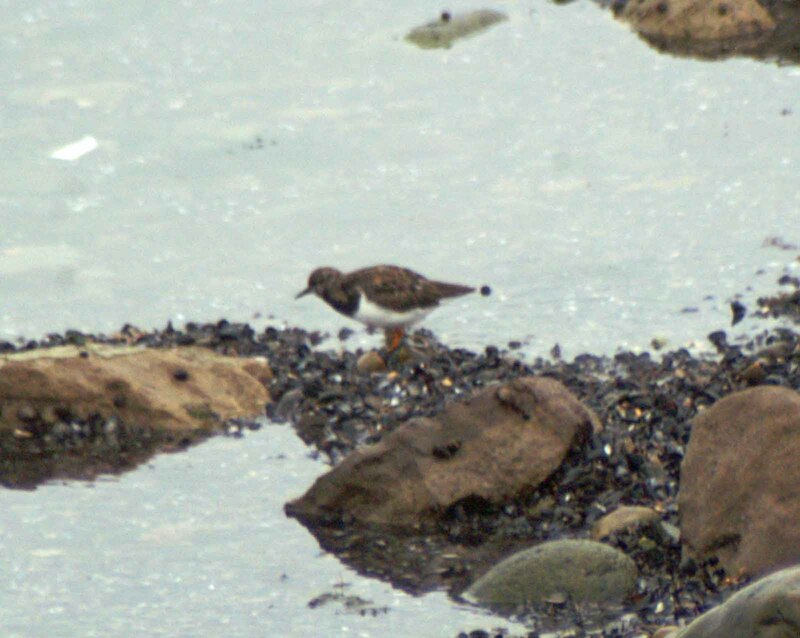 I spotted some small birds fly over the sea wall and land on the rocks of the breakwater that I imagine defines the boundary between Penrhyn Bay and Rhos-on-Sea. 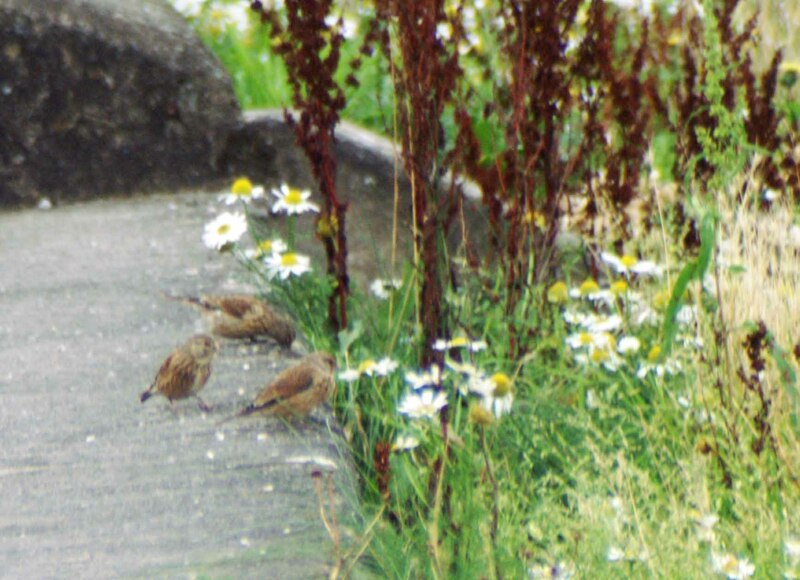 It was a little party of Linnets that were here to feast on the seeds of the wild plants that manage to grow here. The tide was on its way out, leaving behind freshly exposed rocks covered with gleaming seaweed and a myriad of shallow rock pools. This is such an important habitat for wading birds I felt it would be remiss of me not to include a very brief look at some of the predominant features of this part of the seashore. 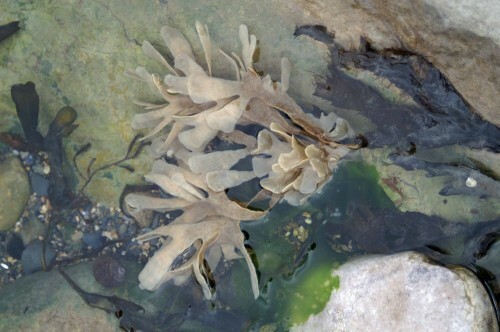 Brown seaweeds are the most common type of seaweed found on rocky beaches. 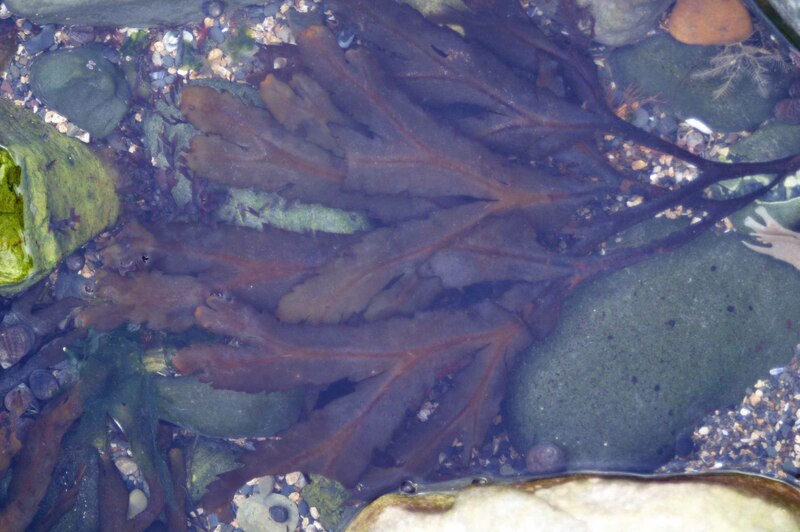 They normally have a method to strongly attach themselves to rock surfaces.The brown colour of the seaweed is due to the brown pigment fucoxanthin overriding the green pigment chlorophyll. Both pigments are used in the photosynthesis of light, fucoxanthin improving the process when the algae is covered by water. 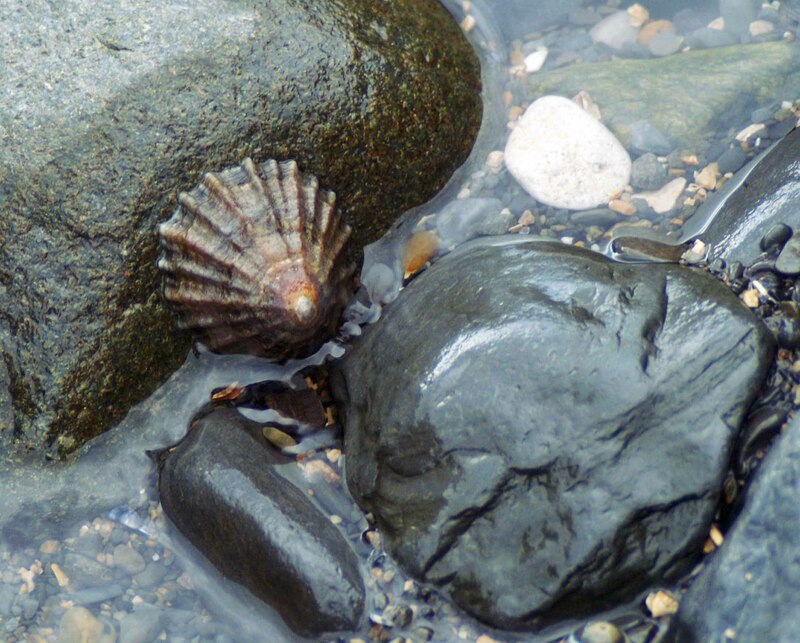 The Limpet's conical shape means there is a large surface area in contact with the rockface. This allows for a large foot, providing limpets with a phenomenal grip, to such an extent that they cannot easily be prised off by hand.Limpets have an important affect on their environment, they keep it clear of algae. 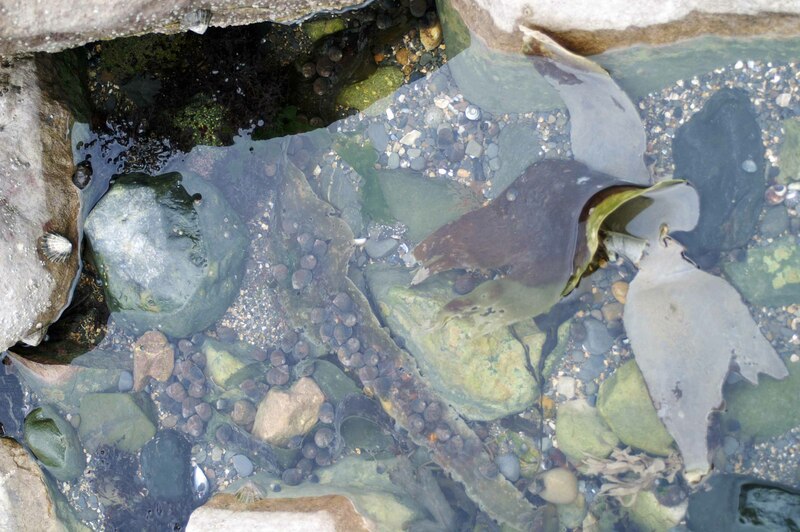 If you look in rock pools, often the only algae seen growing is on the ungrazed backs of limpets. Periwinkles abound here, I think they are the edible variety. 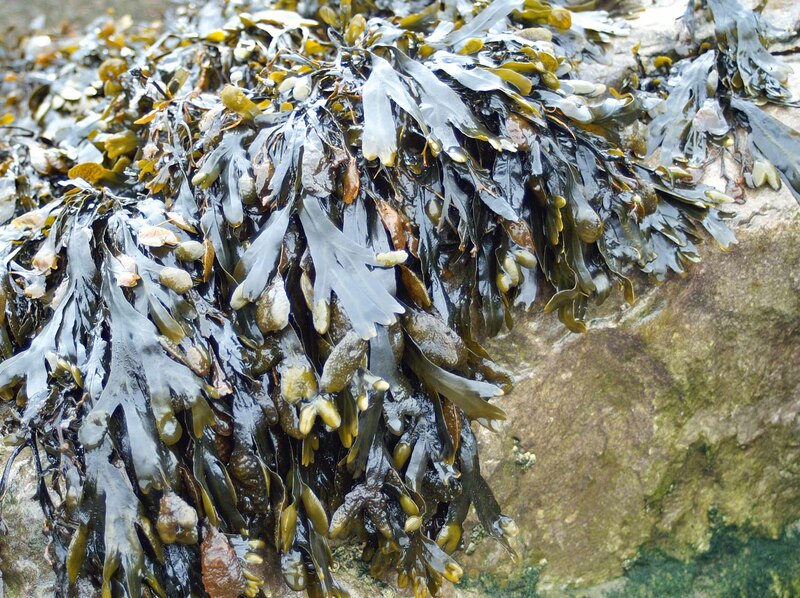 Brown leathery straps of seaweed are Oarweed-Laminaria digitata. Of course, being me, once I started paying proper attention I kept noticing more and more, but I have to leave my self more to discover next time I am here, so that’s it from this seashore for now. 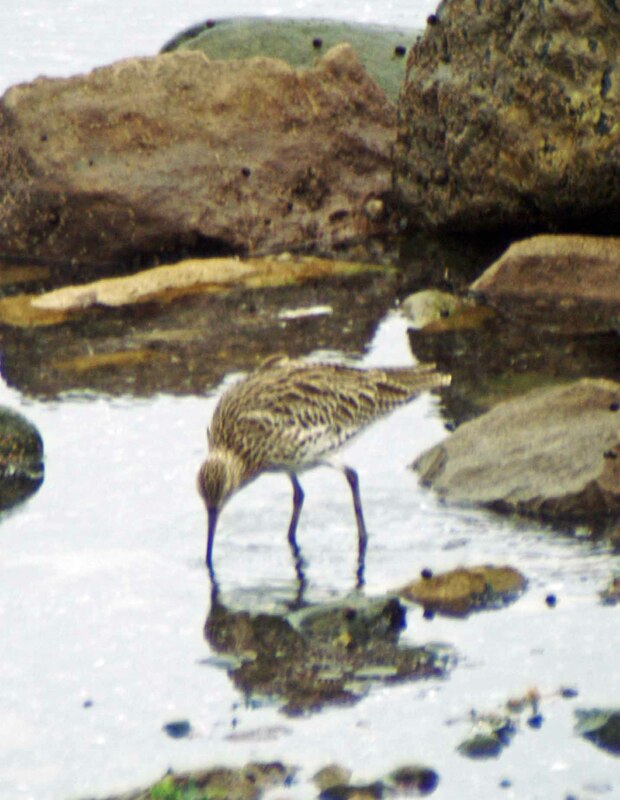 Thank you, and you may be interested to know the first of the autumn rains arrived here in Spain on Thursday in dramatic style with a huge thunderstorm, so not great raptor-watching weather presently! An impressive write-up there and why there’s always so much to witness if are to look hard enough. 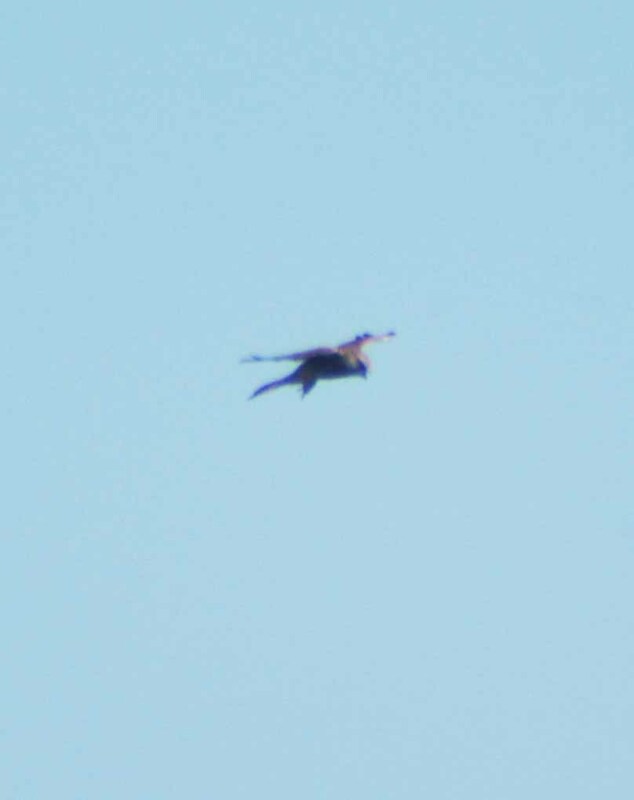 Good Luck in southern Spain, could well be a few migrating Raptors to picture there.